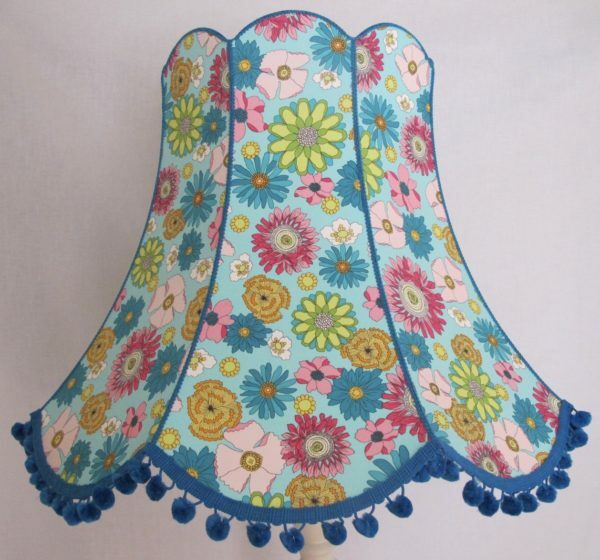 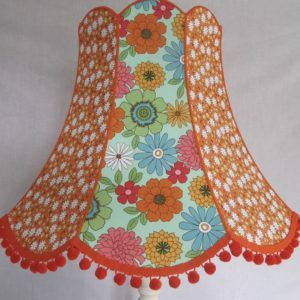 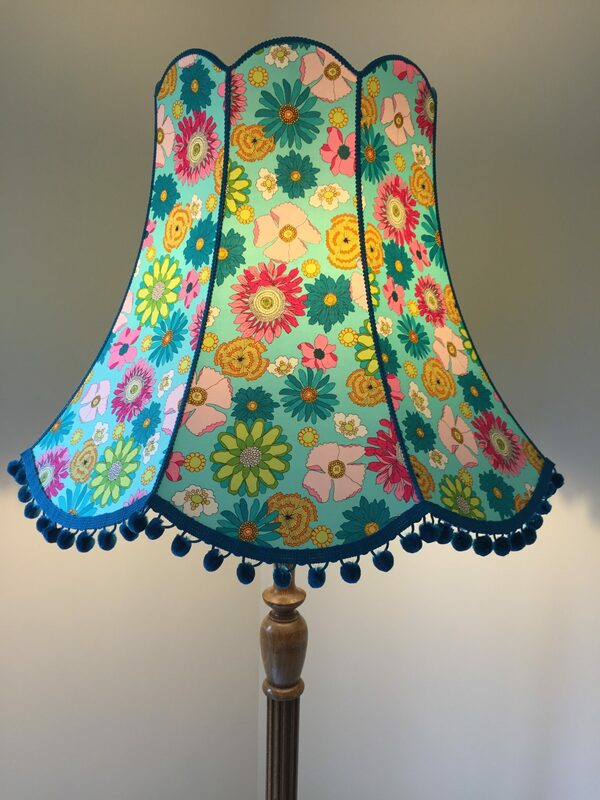 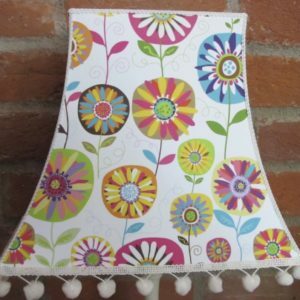 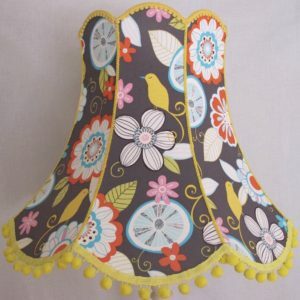 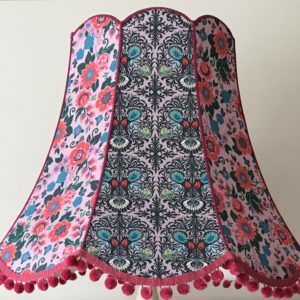 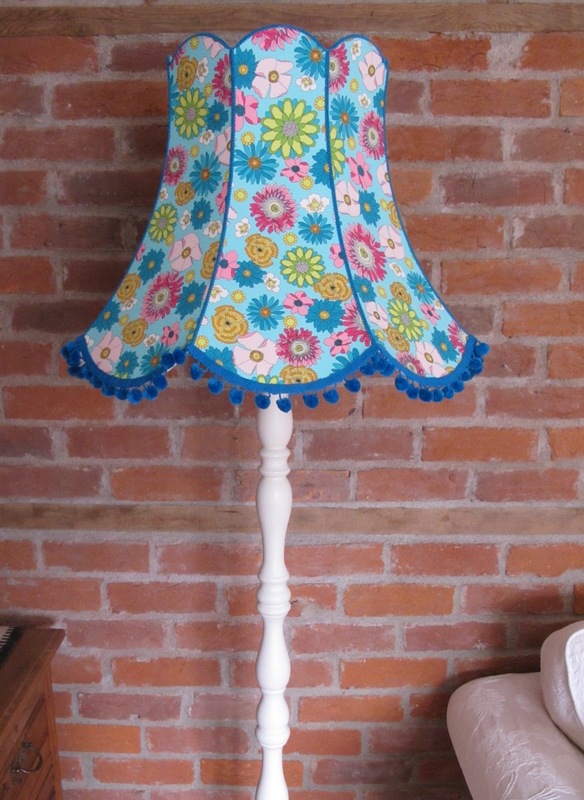 This is a lovely floral lampshade packed full of colour. 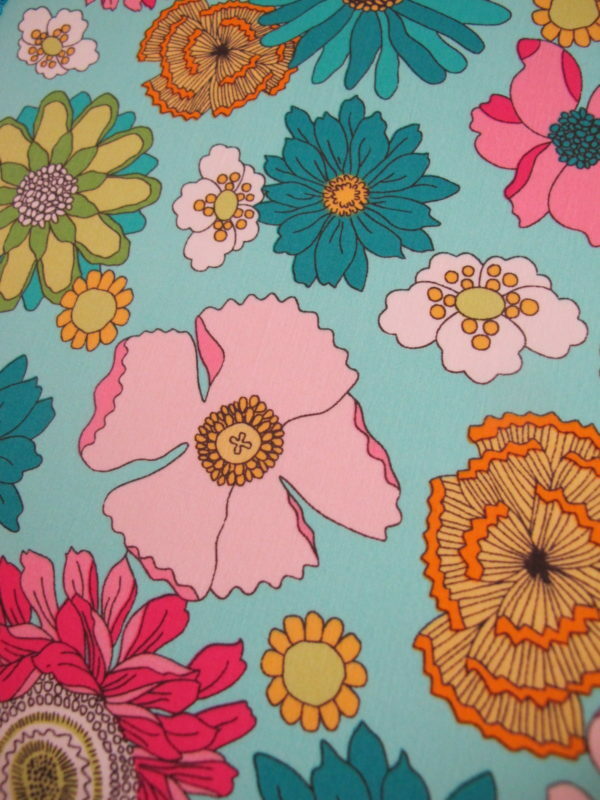 Flowers in all shapes and sizes in shades of pink, orange, blue, green, yellow, orange and white sitting on an aqua background. 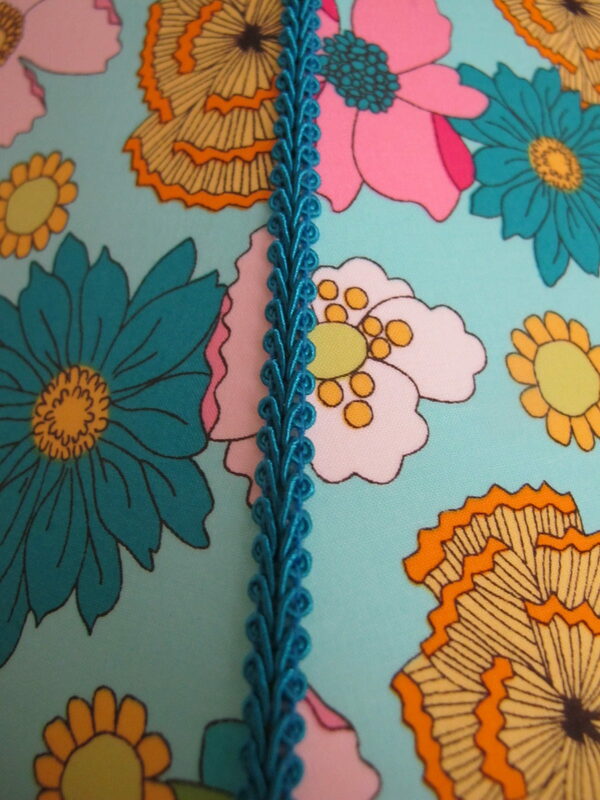 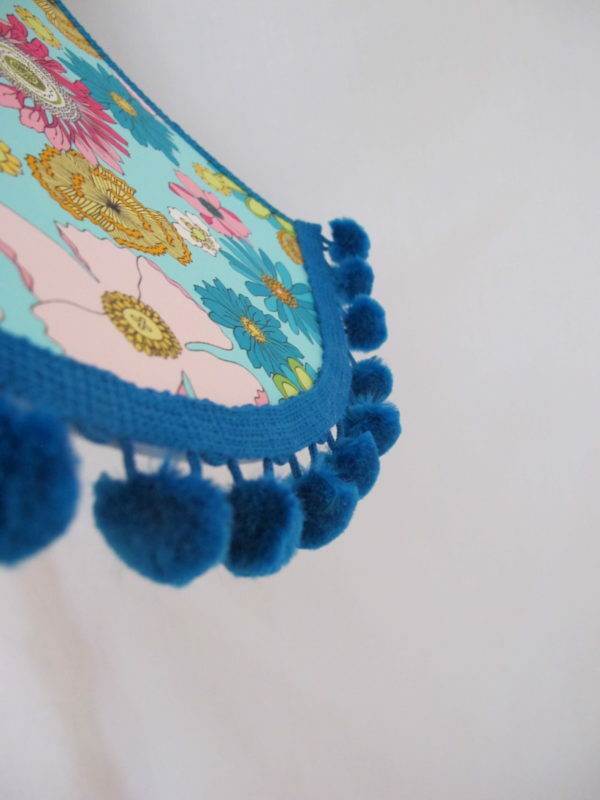 Edged with blue scroll braid and trimmed with Oohlala blue pom poms!